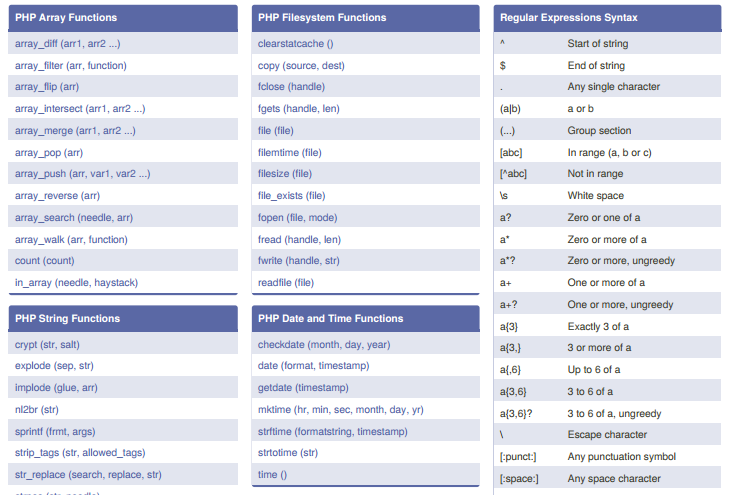 PHP cheat sheet for newbies learning PHP. 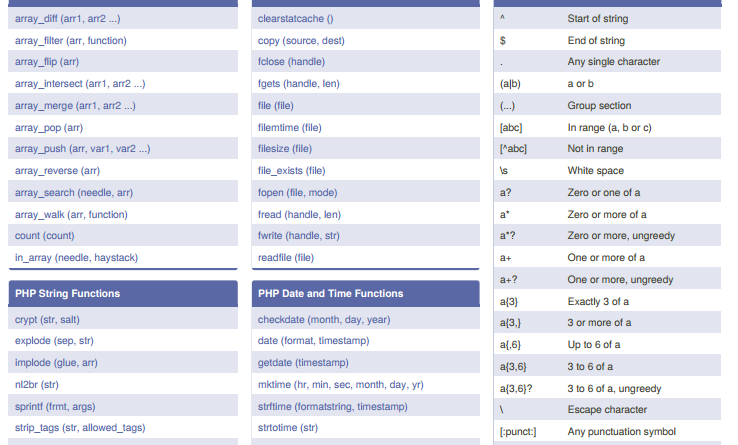 This PHP cheat sheet is created by DaveChild from cheatography.com. ¹ 0 is Sunday, 6 is Saturday. ² Week that overlaps two years belongs to year that contains most days of that week. Hence week number for 1st January of a given year can be 53 if week belongs to previous year. date(“W­”, mktime(0, 0, 0, 12, 8, $year)) always gives correct number of weeks in $year. ³ The Epoch is the 1st January 1970.